...and false eyelash application (hey Siân). I've got my answers to beauty-related questions down to a T (makeup, skincare, tanning, fragrance... you name it, I probably have an opinion), and I can reel off useful blogs and beauty resources like an exam I crammed all night for; it was about time I got them all down on paper my blog, really. Discussing each the way I would with my friends, I've jotted down my answers to the six beauty questions I'm asked most frequently. It's a two-parter because, words. 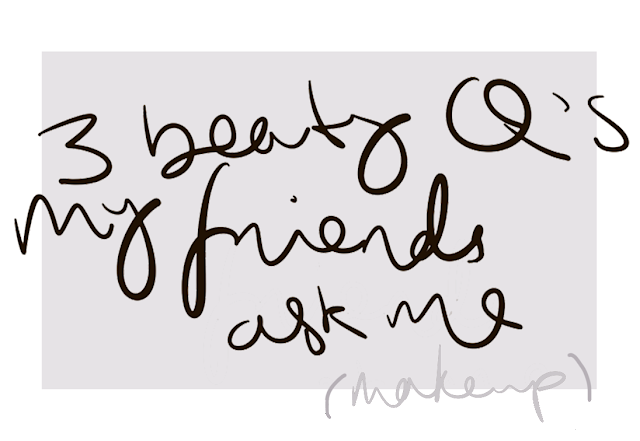 First up in the beauty FAQs lineup? Makeup. This isn't a straight forward question. If you're asking me what I personally wear, with my skin type (combination to normal, non-oily but blemish-prone) and my preferred finish (dewy and natural-looking), I'd tell you I wear Laura Mercier Silk Creme most days because the coverage is great and it's the perfect, real skin-like finish. Sometimes I mix it up with Rimmel lasting finish (for lighter coverage days) or Nars Sheer Glow (which I have in too dark a shade for day-to-day wear, currently). If you're asking me what you should wear, though, that's a whole other question. 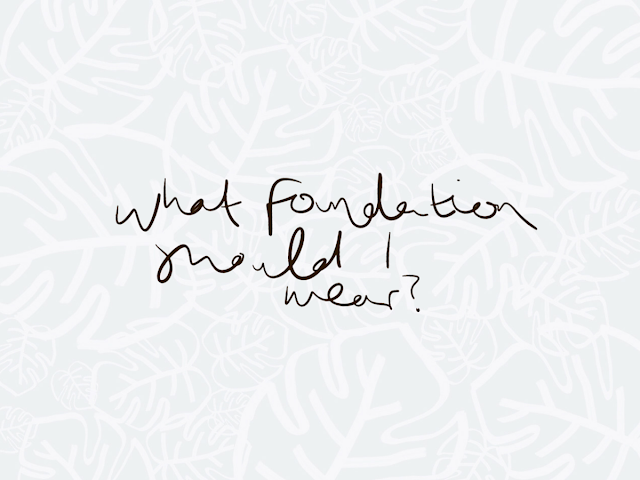 Choosing the right foundation for you depends entirely on your skin type and how you want it to look, and it's worth researching quite extensively before you buy! Look into each skin type and don't make any assumptions about your own. As a teenager, I always thought I had oily skin, but actually I was just treating mine wrong; my skin was dehydrated, because I wasn't moisturising for fear of making it more oily (this is a myth), and the oil-free foundations I always opted for were, in fact, just making it worse. When you don't moisturise, your skin goes into panic-dehydration mode and actually produces more oil. 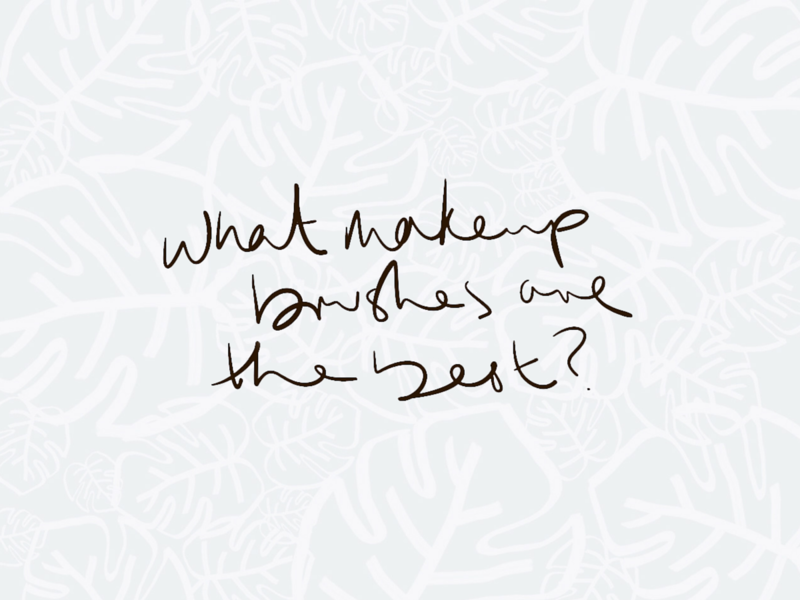 Next, think about your preferences in terms of finish: Do you want a foundation that looks dewy and glowy like natural skin, would you opt for a matte finish (I never understand these people, personally), or are you looking for something in between like a satin finish? Note: your skin type does not affect what finish you should go for; don't be fooled into thinking a matte foundation would combat oily skin better than a more dewy foundation. Caroline Hirons | Dry or Dehydrated? Pixiwoo | Best Foundations for your Skin Type (bear in mind this article is from 2013, so it isn't the most up-to-date. If you want a newer foundation, you can search for ones that are similar to those mentioned). Vivianna Does Makeup | The Best Foundation For... (a sheer finish/a flawless base/dry skins/oily skins/skins that eat up foundation/a good all-rounder). 1. Invest in an eyebrow tint or dye kit. The Eyelure Dybrow range is my favourite - I tend to go for the Pro-Lash DyLash kit in dark brown, even though it's technically for eyelashes, because the colour is perfect for matching my brows to my roots. I would never trust anyone else with tinting my eyebrows, and it's so cheap and easy to do it at home that I don't see the point, either. Less than £10 and the kit has lasted me forever, seriously. 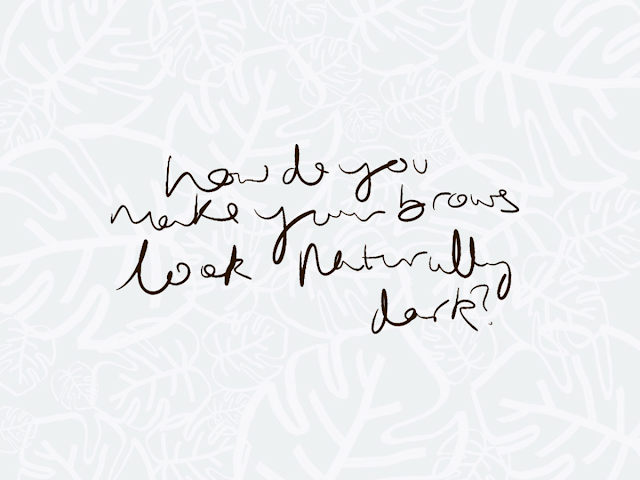 I tint my brows once every six weeks or so. 2. Use a fine-tipped pencil like the Anastasia Brow Wiz or the Soap & Glory Archery 2-in-1 Brow Filling Pencil (pretty much exactly the same as the Anastasia offering, for half the price). 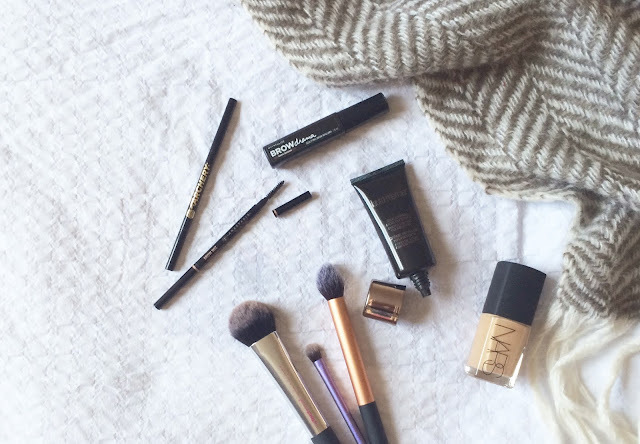 They take a bit of getting used to; the first few times I used my Brow Wiz, I was so disappointed that a product with so much hype was such a let down, but a bit of playing around and I got the hang of it. Nothing imitates brow hairs better than these pencils. 3. 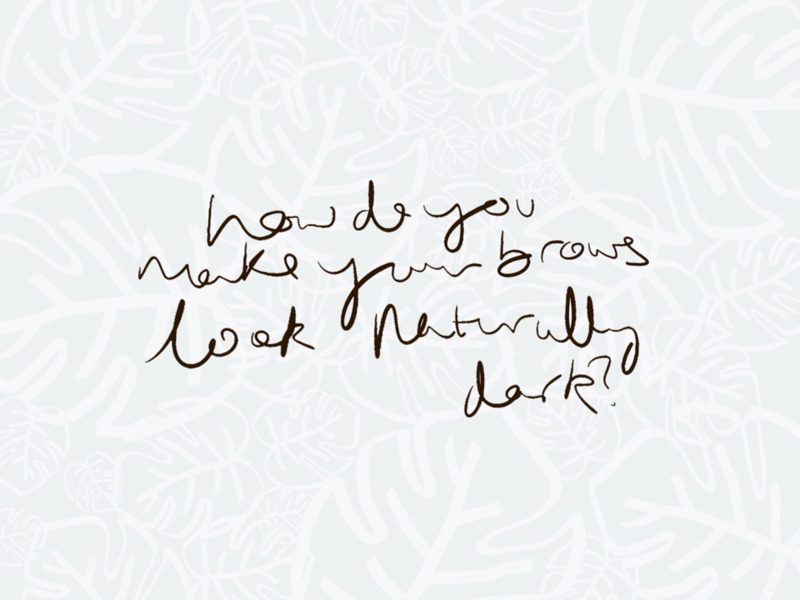 Set your brows with a brown brow gel, as opposed to a clear one. I love the Maybelline Brow Drama Sculpting Mascara in Dark Brown for some added definition. Easy. And pssst... I hardly ever pluck or trim my eyebrows. Don't tell anyone. Base (foundation and concealer): Real Techniques Buffing Brush (part of the Core Collection) or Real Techniques Expert Face Brush if I need fuller coverage. Face (contour, bronzer, blusher and highlight): Real Techniques Contour Brush (part of the Core Collection), Real Techniques Blush Brush, and Real Techniques Stippling Brush, weirdly, for highlight. Eyes: Real Techniques Deluxe Crease Brush (part of the Starter Set) to sweep shadow roughly over the lids and in the crease (and up towards the brow bone if I'm feeling dangerous), MAC 217 for blending (read: making it look less drag-queen), Real Techniques Detailer Brush (part of the Core Collection) for below the lash line. Are they worth the investment? 100% yes. Applying makeup with good brushes will change your life (or something less dramatic to the same effect), and Real Techniques are such good value compared to all other decent brushes, too; four/five brushes for £20? Give. 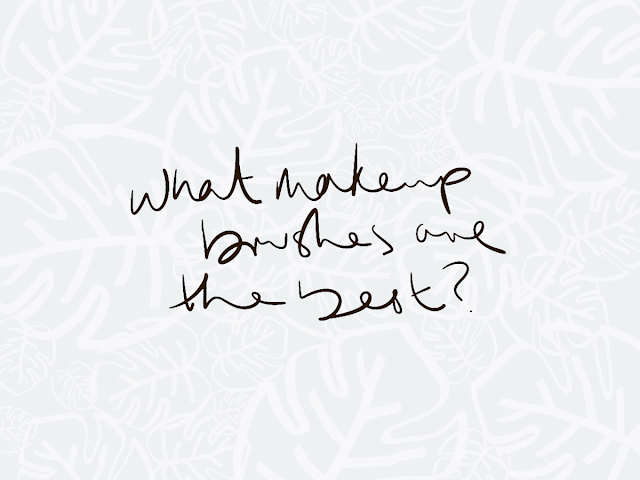 What are your go-to beauty tips? Let me know in the comments, and look out for the second part of my Beauty FAQs series: body & skincare!